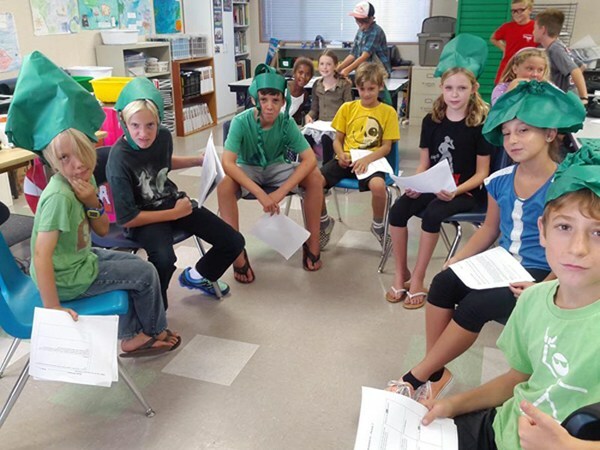 At Ventura Charter School, academic subjects are presented in an interdisciplinary manner to promote continuity and to allow students to see how ideas are connected. California State Standards are taught using a hands-on project approach which engages students in meaningful ways and provides a deeper understanding of the subjects they study. Project-Based learning provides opportunities for students to explore real-world issues and questions and to make decisions about how they will find answers and solve problems. Students' activities are constructive and purposeful and allow them to develop independence and responsibility. Children who are excited about what they are learning dig more deeply, expand their interests, and retain what they have learned. They make connections and apply their learning to other problems. This approach allows them to collaborate, build social skills, solve problems, and think critically. Kindergartners began with a study of the Backyard Habitat. From there they moved on to study four different Habitat environments: Ocean, Desert, Rain Forest and Arctic. Students were put into crews and did research on the following areas of their habitat: soil, water, climate, geography, flora and fauna.Students completed a habitat book and took several field trips related to the project. (Santa Barbara Natural History Museum, Ty Warner Sea Center, and the Ojai Meadow Preserve). 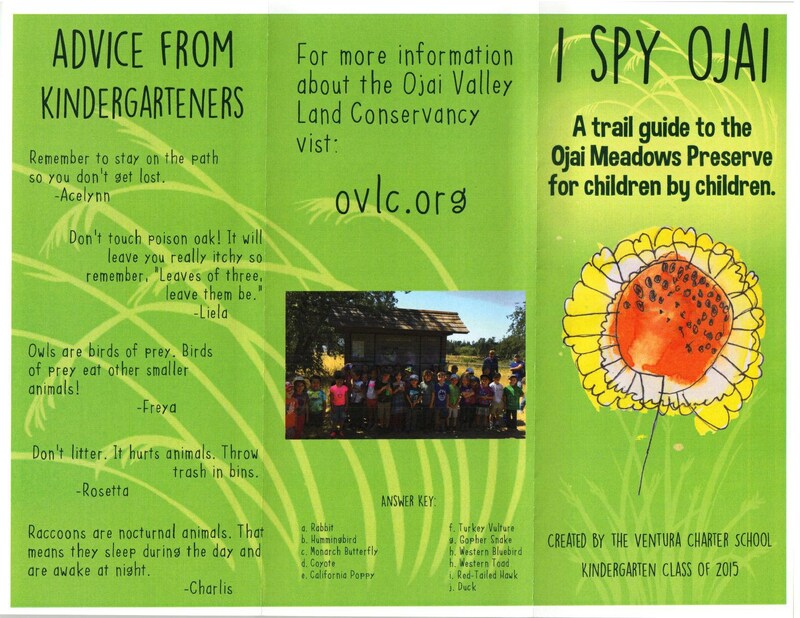 Students worked to create a trail guide for the Ojai Meadow Preserve for children--written and illustrated by the Kindergarten students of VCS. For the next phase of the project, students chose an animal from their assigned habitat. They then began researching the animal and worked on completing a book that focused on: a description of the animal, what it eats, who it's predators are, and fun facts about their animal. Students then created a diorama of their animal in its natural habitat. The diorama included their animal, a food source, a water source and shelter. Students had an exhibit of their Habitat projects and invited parents and other classes to come and tour their exhibit. 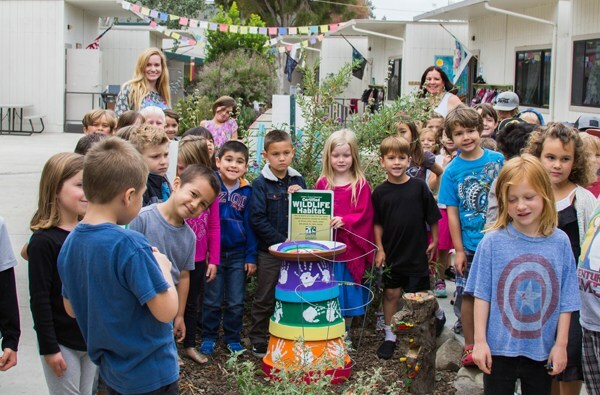 In 2015, Kindergarten students also worked to make the VCS butterfly garden a certified habitat from the National Wildlife Federation. One class created a bird bath for the butterfly garden and the other class created insect hotels. Third and Fourth Grade S/Hero Project: Exploring the history and social science standard of American heroes, each student chose one to learn about in detail. They researched their hero, designed a costume s/he would have worn with props, and prepared a 60 second speech about his/her life. 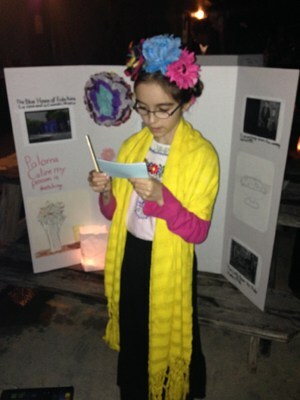 The culmination of the project was a "Museum Alive" evening. In the school courtyard at night, lit only by luminarias, the students posed frozen in character and costume. When a visitor came by and touched them, they became alive for 60 seconds to deliver their prepared speeches. Fifth and Sixth Grade Who Discovered America? 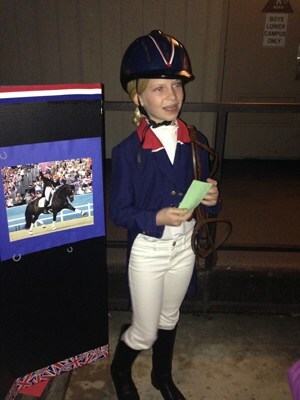 Project: In learning about the early explorations of the Americas, each student chose an explorer to study. Taking the role of different explorers (there were many), the students hosted a lively mock debate where the audience took notes and at the end, participated in a discussion of what "discovered" means. The audience voted on the explorer with the most convincing argument claiming the honor of being the one who truly discovered America. Seventh and Eighth Grade Renaissance Project: When analyzing the origins and accomplishments of the Renaissance, students chose an in-depth study focus area of art, science, literature, or drama. Students built a trebuchet using da Vinci's design; studied Renaissance artists choosing one masterpiece to reproduce; chose a scientist and representative experiment to replicate; and studied scenes from several of Shakespeare's plays. 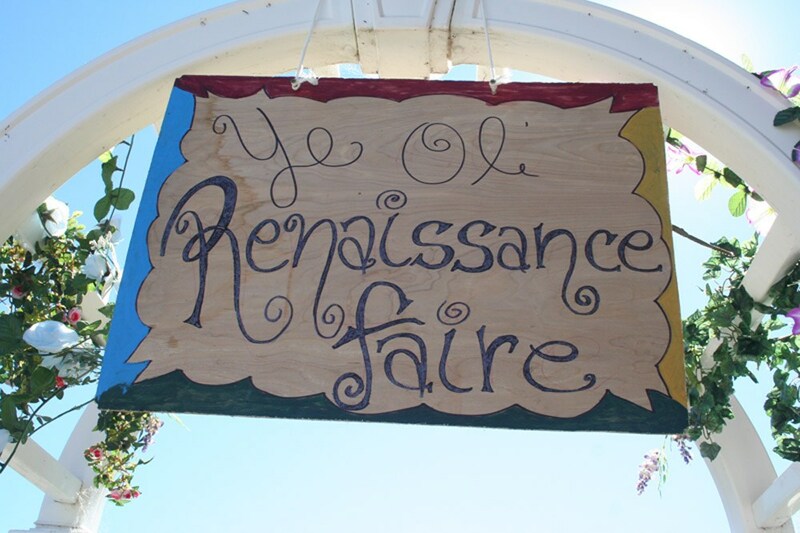 The project culminated in a school-wide Renaissance Faire where students dressed in hand-made costumes, exhibited the art pieces and science experiments, demonstrated catapults, and performed scenes from "A Midsummer's Night Dream" and "Romeo and Juliet." "We only think when we are confronted with a problem"